LS Mecapion manufactures Servo Drives and Servo Motors. The servo drives come in 3 series: VS (Standard), L7N (Motion network type (EtherCAT)), and L7S (Standard I/O Type). 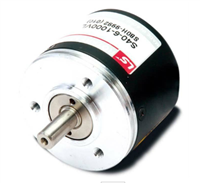 The servo motors come in a compact solid shaft that uses a high-performance permanent magnet, and adopts an exclusive precision encoder.